"When the Paris Commune took the management of the revolution in its own hands; when plain working men for the first time dared to infringe upon the governmental privilege of their “natural superiors,” and, under circumstances of unexampled difficulty, performed it at salaries the highest of which barely amounted to one-fifth of what, according to high scientific authority, is the minimum required for a secretary to a certain metropolitan school-board – the old world writhed in convulsions of rage at the sight of the Red Flag, the symbol of the Republic of Labor, floating over the Hôtel de Ville." It is because of this "rage" that the Commune had to be smashed and its participants wiped from the face of the earth. John Merriman's new book on the Commune concentrates on the suppression of this radical experiment in workers' democracy. I was disappointed by how little of his book looks at the Commune and its radical attempts to build democracy, to experiment with new forms of organisation and to try to implement socialist ideas. Merriman also fails to understand the significance of the Commune for those future socialists, like Karl Marx, who took from it a greater understanding of the role of the state in class society, and the need to smash it and build a new worker's state. "The Commune gave women in the Union des Pemmes, which included at least 1,000 and perhaps as many as 2,000 women, unprecedented public responsibilities, but the response was not all positive... Yet without question women made essential contributions to the Commune, denouncing the clergy at club gathering, encouraging the military defence of Paris, and caring for wounded Communard fighters." As Merriman himself shows later, they also played a central role in the military defence of the city, paying with their lives for this crime against bourgeois femininity. "In addition to reorganising Paris's workers, the Commune also endeavoured to improve their working conditions. The abolition of night baking by a decree... was one such concrete social measure in the interest of labour taken by the Commune." Merriman notes also that there were limitations to what could be achieved. After all the Commune was triumphant in only one city, and that had taken the revolutionary leadership by surprise. Without time to condense into a unified political leadership, there were divisions and disagreements. He points out, "it is not surprising that no full-fledged attempt to transform the economy took place". 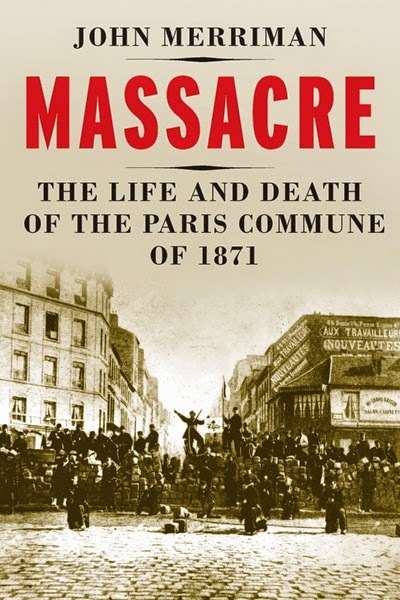 But most of Merriman's book concentrates on the violent repression of the Communards. The bourgeois classes by and large fled the city to Versailles, taking with them all sorts of rumours and myths about what was taking place in the city. What shines through is the terror of the ruling class in the face of workers uprisings, their fear of international revolution and their hatred of those at the bottom of society. Merriman has mined the memoirs, police records, diaries and books of the time to bring us the authentic voice of the Commune, and its enemies, and it is terrifying. The largest failing of the Commune was perhaps its failure to organise a proper military defence of the city. Spreading the Revolution may well have been possible had the city been able to resist the thousands of enemy troops. But once the soldiers entered the city, and the artilary was pounding it, there it was only a matter of time before defeat would take place. Yet the military strategy was inadequate, despite the mass involvement of Parisian workers in the defence of their city. "The Versaillais often killed Communard insurgents they discovered, regardless of whether the fighters put up any resistance. On rue Sint-Honore, line soldiers found 30 national guardsmen hiding in a print shop. They had thrown away their weapons and hurriedly put on work clothes, but that would not save them. The soldiers took them... and shot them in the enormous ditch in front of what was left of the barricade. Nearby... troops came upon six men and a young woman in National Guard uniforms hiding in barrels. They were thrown into a ditch and killed." But wearing a uniform or having a gun wasn't the only reason to be killed. Being Polish, or having a unusual surname, or the wrong accent, or a left wing newspaper in the house was enough. "Three women were gunned down because the Versaillais came across several pairs of National Guardsman's trousers in their apartment. A furrier on rue des Partyrs allegedly was summarily executed because he had invite Pyat to his apartment six months earlier. When the man's wife protested he was also killed. On place du Trone, soldiers saw light in an upper apartment and went up to find two elderly men drinking tea. They were shot for no reason... Social class did them in." There was barely any attempt at trial or justice, summary executions were the way that "order" was restored to Paris. As many as 17,000 died like this, but some "estimates have reached as high as 35,000". Certainly a census the next year suggested that tens of thousands of workers had died or fled the city, half of the 1866 shoemakers were not to be found, 10,000 of 30,000 tailors were missing, 6,000 of 20,000 cabinent makers gone, and so on. The bourgeois revelled in the violence. Le Figaro cheered the "General enterprise of sweeping Paris clean", the New York Herald called for "no cessation of summary judgment and summary execution... Root them out, destroy them utterly, M. Thiers, if you would save France. No mistaken humanity." Which such voices against them, the isolated Communards had no chance. Indeed that they only killed 66 or 68 hostages seems of little matter to the right-wingers determined to protect their property and their political system. Merriman's book is not easy. At times I was near tears at the counter-revolutionary brutality. But it is an important work that demonstrates the extent to which a ruling class will be prepared to kill those who threaten its existence. The Paris Commune remains an inspiration because it teaches us that workers can take power and govern their lives. But it also teachs us that we cannot half make a revolution, we must overthrow the capitalists and smash their state. Least they will take the revenge they did on the Communards. 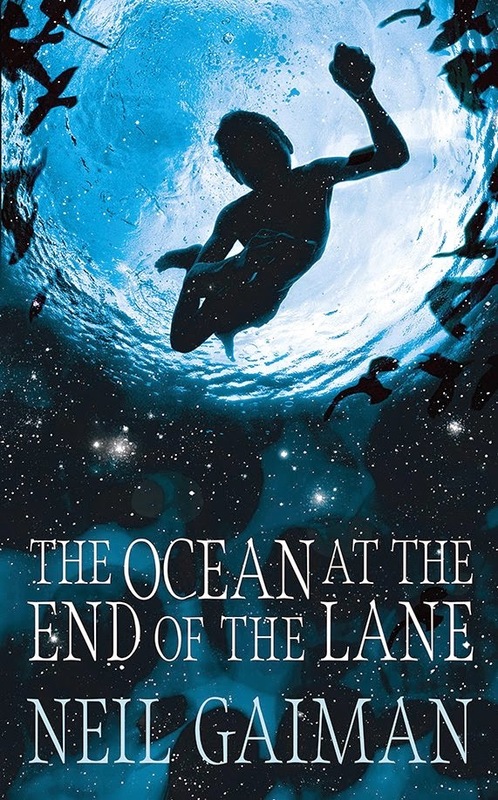 Its been a while since Neil Gaiman has written a novel for adults and while The Ocean at the End of the Lane is a great read, it lacks some of the power and impact of earlier novels. That said, Ocean, is a excellent piece of writing, which carries the reader along on a wave of words, rather than a deep and complex plot. Beginning with the adult narrator returning to his childhood home for a funeral, we follow him as he gradually becomes remembers forgotten parts of his life. At the end of his childhood lane the narrator finds himself at the home of the three Hempstock women, who while child, mother and grandmother, are also old beyond time. Together they help defeat a malevolent presence that enters the narrators' world by accident and then infiltrates his family via the medium of an evil nanny. Gaiman does well to depict the world through the naive eyes of his seven year old story-teller, not least the nastiness of the nanny and the way that she turns his family against him. As at least one reviewer has pointed out, Gaiman's best writing is in the interactions between his human characters, rather than the fantastical sequences, which feel somewhat whimsical. Indeed what made American Gods so powerful was that they fantasy was actually part, albeit a hidden part, of our own world. Here he has entered fairy-tale land and I'm not sure it works as well. "The Middle Ages produced a substantial surplus productivity, and this enabled the estate administration of Glastonbury... to invest capital in a new post-mill... Richard of Wallingford could not otherwise have invented his two astronomical instruments, the Rectangulus and the Albion, nor his famous clock, and Giovanni di Dondi could not have built his marvellous clock over a sixteen-year period." But some of the medieval industry also produced surplus on a large scale, which is why the crown was keen to control mines and mills or give them to friendly lords and abbots. 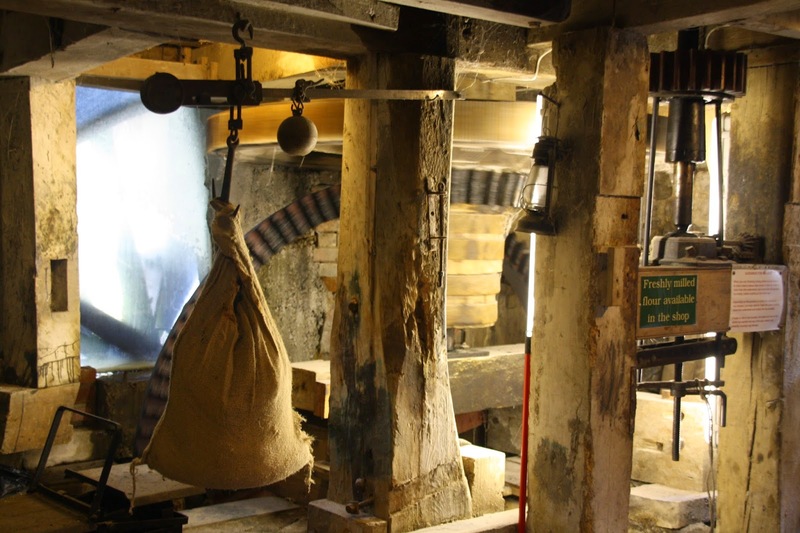 "The Abbot John (1235-60) had spent over £100 repairing all the mills on his land, and his successors were anxious to have their tenants breing their cloth and corn to the manorial mills. The tenants refused to obey... and continued to full at home, free of charge.... in 1274 Abbot Roger... had certain houses searched to confiscate the cloth. Te tenants resisted physically, then opened a fighting fund... The townsmen contested the case in the King's Court, but in vain. They had to abandon fulling by foot and bring their cloth to the abbey mills to be fulled by the machines." Disputes like this helped to fuel discontent that made St Albans one of the centers of rural insurrection up to the Great Revolt of 1381. 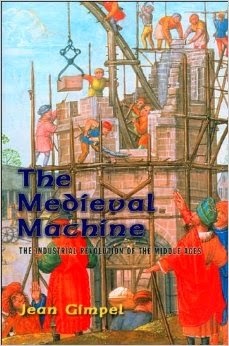 But we shouldn't be misled into thinking that medieval industry was simply small scale, and localised. Take Toulouse in the second half of the 12th century which had "majestic" dams to control water levels on the river. Before these, there had been 60 floating mills, by the end of the century "city engineers therefore did away with the floating mills, built three dams barring the fast-flowing Garonne, and erected 43 water mills on its right bank." One of these dams was 400 meters long. Other industry could be as large and capable of enormous feats. Gimbel takes us through the extraordinary scale of the mines that produced stone for the medieval cathedrals, often exported large distances - Caen stone being favoured for some Norman buildings in England, for instance. Or that England's iron industry was large enough to supply a bulk order of 50,000 horseshoes for Richard I's crusade. Contrary to popular belief the early medieval era was a period invention and innovation. Some of this was the work of remarkable thinkers and architects, who combined science and technology in a way that seems centuries ahead of their time. Others developments must have been the work of unknown artisans and peasants, such as the medieval innovations of harnesses that allowed horses to pull loads hundreds of times larger than in Roman times. Indeed, one interesting thing about Gimbels' book is that he acknowledges how much more dynamic the innovations of medieval Europe were over those of the more stagnant slave economies of the classical era. But medieval society did enter a period of decline and stagnation. Many of the clocks and other wondourous mechanisms could not be repaired years later as knowledge was lost. Gimbel argues that this was a result of the economic and political crises that struck Europe in the 14th century, the crash of population that followed the Black Death, the Hundred Years War and the famines of the time. These combined to produce political crisis and times when society looked inwards rather than forward. There is much truth in this, though a larger problem is the way the ruling class of the era responded to the crises, as exemplified by King Edward who rebuked the Abbot at St Albans for spending time and money building a clock and not repairing his church. As the medieval era got older, the ruling class was less keen to stimulate innovation for fear of undermining the status quo. A second disagreement with Jean Gimbel is his epilogue which seeks to link the rise and fall of technological innovation in the medieval period with a similar rise and fall of western capitalist society. Here the analogy must surely fail, given the two economies are utterly different in their central dynamic and the crisis of the US economy is not due to malaise in society or a lack of "fascination with gadgets" but in a country that was squeezed by its economic and military competition in the Cold War. These are however minor disagreements with a book whose central story is absolutely fascinating and a tribute to the brilliance of human achievement and innovation in a period often dismissed as a dark and stagnant time. "we have observed that an alliance between influential segments of a landed elite and a rising but weak commercial class has been a crucial factor in producing a reactionary political phase in the course of economic development. The British presence in India prevented any such coalition and thereby contributed to the establishment of a parliamentary democracy." "The weakness of a national aristocracy was an important feature of seventeenth-century India that, as in other countries, inhibited the growth of parliamentary democracy from native soil. Parliamentary institutions were to be a late and exotic import." Most of the book is a forensic analysis of the different paths of development for various countries. I suspect that most readers will get the most from this history, and I found the chapters on France and England good summaries of the history of the development of modern parliamentary democracy. Barrington Moore is good on the role of force in history, and the role of competing class interests in shaping historical outcomes. "To regard the radicals as an extremist band, an excrescence on the liberal and bourgeois revolution is to fly in the face of this evidence. The one was impossible without the other. It is also quite clear that the bourgeois revolution would not have gone as far as it did without pressure from the radicals. There were several occasion, as we have seen, when the conservatives of the moment tried to stop the Revolution." "The sans culottes made the bourgeois Revolution: the peasants determined just how far it could go. The incompleteness of the Revolution on the other hand, an incompleteness quite largely traceable to the structure of French society in the late eighteenth century, meant that it would be a long time before a full-blown capitalist democracy could establish itself in French society." "By the time Commodore Perry's ships appeared in 1854, the Tokugawa system had suffered substantial decay. The decline of the old order, together with attempts to preserve the privileges of the agrarian elite, had already given rise to some of the social forces that eventually culminated in the regime that dropped its fateful bombs on Pearl Harbor in 1941." But goes further in writing of China where he implies that "decisive characteristics of Chinese society during the last great dynasty, the Manchus (1644-1911)... impart a direction to the subsequent development of China that culminated... in the Communist victory". A very early beginning to Chairman Mao's victory. Fascism was ultimately successful, he argues, in Germany (and as Barrington Moore characterises it, Japan) because of the late development of industry. So while Barrington Moore argues, that there isn't "some inexorable fate [that] drove Germany toward fascism from the sixteenth century onward" he does come close. "The main areas where peasant revolutions have in modern times had the greatest importance, China and Russia, were alike in the fact that the landed upper classes by and large did not make a successful transition to the world of commerce and industry and did not destroy the prevailing social organisation among the peasants." What Barrington Moore is missing here, and everywhere else in his book, is the active role of the classes in determining the outcome of history. The Russian Revolution was successful not simply because the aristocracy and failed to destroy the peasants social organisation (though it might have done given another 50 years) but because there were active political parties in the country that shaped the revolutionary movement of workers and peasants to smash the state. Similarly, Fascism was triumphant in Germany and Italy because powerful movements failed to organise correctly to break the right-wing, and because Hitler forged a powerful fascist movement. In some countries, Britain and France for instance, nascent fascist groups were broken by working class movements. Nazism wasn't inevitable in Germany, it was the joint failure of the social democrats and Communists to unite that left Hitler able to win. Barrington Moore's book also suffers from two other weaknesses. At times it is very heavily written and turgid. He is also prone to sweeping generalisations: "Though I cannot prove it, I suspect that one of the few lasting and dependable sources of human satisfaction is making other people suffer". Readers will no doubt continue to grapple with Barrington Moore's book while engaging in debates around the development of capitalism. I remain unconvinced it is a particularly necessary read for others, and despite his liberal radicalism, his failure to understand more radical democratic solutions means the book ends up justifying the "democracy" of Britain and the United States. The later, after all, a regime that also dropped "fateful bombs" on Hiroshima and Nagasaki. With this selective view of history, and its overly structuralist approach to historical change, Barrington Moore's Social Origins remains a thoroughly bourgeois work. The historical development of agriculture fundamentally transformed human societies. The surplus generated by farming could, for the first time in human history, allow groups within society to live from the labour of others. Thus, where, when and why agriculture developed and was taken up is of enormous interest to those trying to understand subsequent history. 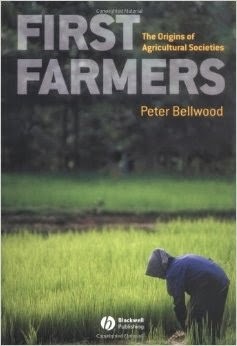 Peter Bellwood's book on the Origin of Agricultural Societies is thus very important. He begins by exploring why certain hunter-gatherer communities became agricultural, and why many didn't. A key question is whether once agriculture had developed at various "points of origin" around the globe, it spread wave like, carried by the outward movement and spread of agriculturalists, or whether it was adopted by existing hunter-gatherer communities who then became sedentary. Many societies didn't take up agriculture, and the encounters between the two types of early communities may often have been mutually beneficial. Though, as Bellwood explains, at a certain point the situation would become untenable. "Such interactive networks between farmers and hunter-gatherers, in situation of non-severe circumscription, are presumably stable until the farmers increase their numbers... and thus require more land. Then, the hunter-gatherers either join the farmers as an underclass of field workers, or, if they are lucky, they can adopt agriculture." Bellwood points out that those missing the agricultural "train" can have a bleak future. But, as the author explains, "the ethnographic record with respect to ... hunter-gatherer societies offers few hints of eager and successful agricultural adoption. This seems to be the case regardless of whether societies were immediate or delayed return, encapsulated or unenclosed, ranked or egalitarian, sedentary or mobile, 'collectors' or 'foragers'." Much of the earlier chapters of this book discuss exactly how and why agriculture was invented and developed. Bellwood gives an excellent over-view of the different transformations across the whole world. Looking at the different plants and animals that are domesticated around the world, and examining, in turn, the archaeological, genetic and linguistic evidence builds up a picture of how agriculture was invented and spread. Some of this research really fascinating. The author cites one study that demonstrates that "domestication [of grain] could be achieved within 20-30 years if the crop is harvested near-ripe by sickle-reaping or uprooting, and if it is sown on virgin land every year [with seed] taken from last year's new plots". This implies that agriculture could have developed very quickly, though other studies noted point out that "wild and domesticated cereals occurred together for over a millennium before the latter became fully dominant". Hindsight plays an important role, but we can see that agriculture wouldn't have necessarily taken hundreds of years. Incidentally, the importance of sickle-reaping or uprooting is that harvesting plants like this, self-selects for the ones least likely to "burst" and deposit their seeds on the ground. It is a wonderful example of how the invention of a labour saving tool can have unexpected effects. While this is fascinating, and Bellwood explains some difficult concepts well, much of the book is inaccessible to the non-specialist reader. 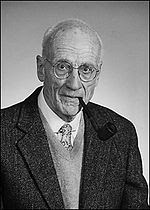 Like David W. Anthony's book The Horse, The Wheel and Language, (an author cited often in Bellwood's work), the concepts of language evolution and spread are particularly difficult. In part this is because of the encyclopedic nature of the work, covering every part of the globe for thousands of years of history. But nonetheless the target audience is clearly students and academics rather than the popular reader. While even the most complex chapters have nuggets of information that will fascinate the persevering reader, this is probably a book that most readers will struggle with, which is a shame as the subject matter is historically of the greatest importance. Time travel stories tend to be cliched and vapid. The Time Traveler's Wife turned a clever idea into a dull romance. But Claire North's novel is an entirely new spin on an old idea, brilliantly executed. 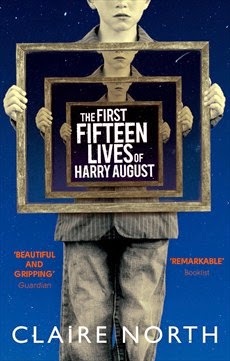 Her titular hero, Harry August, like a tiny minority of other people, is reborn with his memory intact whenever he dies. Doomed to repeat the first few years of his life endlessly, the novel initially explores how one might live differently if you know the future. But then it takes a dark turn as Harry August and others like him, realise someone is using knowledge of the future to fundamentally change it and in the process destroy the others. The novel works partly because it has such a wonderful basis. But also because of the detail that North has put in, particularly the way that those who relive their lives, learn to identify each other, and pass messages back and forth through time. The "Cronus Club" to which they belong becomes a refuge, but also a way of rescuing children who might appear to be 6 years old, but actually have hundreds of years of experience. There are some brilliantly sinister parts to the novel. I was struck by section when a government agent tortures Harry August, because they are desperate to find out what the future holds, and in particular, "why they lose in Vietnam". Its a very clever and excellently thought out novel. Eleanor Marx's was one of the great socialist activists. She built unions, fought for women's liberation, was active in building solidarity with international struggles from the Paris Commune and Ireland to the anti-imperialist war in Sudan. A translator, a writer, an orator and an outstanding Marxist she ought to be one of the British left's greatest heroes. Yet all too often she is forgotten. 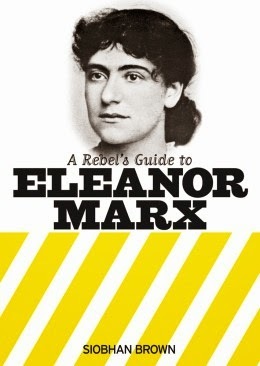 Siobhan Brown's book, the latest in the excellent Rebel's Guides series, is a superb introduction to Eleanor Marx's life. Brown packs an enormous amount in. From Eleanor's early life in the Marx household, to the years of solidarity work with refugees from the Paris Commune to the "busiest decade". The 1880s when Eleanor Marx helped build socialist organisation, wrote a highly important pamphlet on the "woman question", toured the US to argue for socialism and most importantly put herself at the heart of the mass strike waves that ushered in New Unionism. We get a sense of Eleanor Marx as a thinker, and not just an activist. While touring the US, Eleanor made clear her absolute solidarity with the anarchists being framed for the Haymarket Bombing, but did not hide from comradely criticism. The pamphlet that she wrote with Edward Aveling, The Woman Question from a Socialist Point of View was more than an argument for equality. It was, says Brown, "a critique of capitalism as a system that places an extra burden on women, and working class women in particular, and that distorts relationships and sexuality." Brown explains that the pamphlet built on Engels pioneering work which made clear the class roots of women's oppression and argued that ending women's oppression meant ending capitalism. "She [Eleanor Marx] argued that while bourgeois women were competing with bourgeois men, working class women were not held down by working class men. She asserted that their interests lie together. Eleanor quotes Zetkin: 'And that is why the working woman cannot be like the bourgeois woman who has to fight against the man of her own class... With the proletarian women, on the contrary, it is a struggle of the women with the man of her own class against the capitalist class'." Perhaps the most powerful part of these books are the sections on Eleanor Marx's involvement with the mass unions and strike waves that shook the country at the end of the 1880s. Brown points out that the workers involved in these, from Jewish tailors, to the Match Girls and the Dockers were often considered unorganisable. The tailors were in small workshops, the Match Girls considered easily replaceable, and the Dockers casualised and atomised. Yet all of these led powerful strikes that won significant victories and built powerful unions. Brown gives us a flavour of Eleanor Marx's centrality to the new unions. "As well as jumping on tables at meetings, Eleanor committed herself to the more mundane tasks that were required. Ben Tillett, a New Union leader, described how she did 'the drudgery of clerical work as well as more responsible duties', while Tom Mann said she was someone who, 'possessing a complete mastery of economics... was able, alike in conversation and on a public platform, to hold her own with the best." The decline of the strike wave and union movement undoubtedly hit Eleanor Marx hard, and she committed suicide in 1898. But her legacy was tremendously important. Siobhan Bown ends her book by making the point that what Eleanor Marx demonstrated was that the best way to fight low pay, racism and women's oppression was through mass working class movements that challenged capitalism. But that ultimately capitalism had to be overthrown. This wonderful little book is a great way for activists, new and old, to learn the lessons of the past and be inspired for the struggles of the future. I was reading this book while watching the first launch of NASA's Orion spacecraft, a vehicle that many hope will return humans to the moon, mars and elsewhere. I'm skeptical that the political and economic interests exist in the United States for this to happen. In an era were private companies are expected to lead innovation in their pursuit of profit, I suspect that NASA's funding will dwindle. Orion may well prove to be a last hurrah. 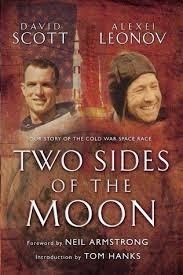 Part of my reasoning lies in this interesting book by two astronauts. David Scott who flew with the one of the US's Gemini missions, and walked on the moon with Apollo 15. Alexei Leonov was the first person to walk in space and took part in the Apollo-Soyuz link up. Had things been different Leonov may well have been the first person to walk on the moon. The book is structured around the authors' lives. Each taking turns to tell parts of their story. Much of the fascination comes from the great differences between the two experiences, particularly their lives within their respective space programs. The Russian's were bedeviled by bureaucracy and lack of funding, which contrasts enormously with NASA's lavish initial support and a much more happy go lucky approach from the astronauts. Leonov was a close friend of Yuri Gagarin, and their are some emotional parts to his tale, particularly in the aftermath of his friends death. He is also an accomplished painter and its notable that his accounts are often more concerned with his amazement with what he can see, while Scott's could be over-bearing in technical detail and much more matter-of-fact. Scott was to go to the moon, and this is perhaps the highlight of the book. Forty years later and despite having seen the footage from the various Apollo missions countless times and read dozens of accounts and reports, the sheer fact that humans walked on the moon still has the capacity to stun me. Scott and James Irwin underwent extensive geological and scientific training for the lunar mission and their accounts are punctuated with genuine excitement at particular finds. Their ability to make decisions about exploration shaped by a wider understanding of geology. Something to bear in mind when discussing whether exploration should continue by robot or manned craft. "The unspoken political undercurrent to our discussion was the importance of the space programme in winning the Cold War. I did not say it directly to the senator grilling us, but underlying my thinking were very fundamental questions: 'Do you want us to win this race? Do you want to live in a free society? Or do you want to live under communism?'" Scott's enthusiasm for science and exploration vanishes here, in the interests of simply winning an undeclared war with the Soviet Union. By contrast the parts of the book, particularly those by Leonov, which detail the interaction between Russian and US spacemen and the way that their shared experiences broke down barriers are illuminating. Leonov, for instance, bemoans how the ill-discipline of American astronauts missing breakfasts in the USSR meant he had to pay for the wasted food from his own pocket. Leonov's is a victim of the collapse of the USSR. His encounters with senior politicians and figures in the USSR help expose the reality of that system and he undergoes his own political awakening. He never got to walk on the moon, though his spaceflights were important milestones. His tales, for instance of fighting off wolves while landing in Siberia, are a fascinating insight into the less well known side of the space race, as well as the tragedies. Those fascinated simply by space flight will enjoy the insights from both astronauts into the 1960s and 1970s space race. But the book is damaged by being over-long and in places seems to drown in its own self-importance. Introductions by Neil Armstrong and Tom Hanks add little, and David Scott has added an extremely long list of acknowledgements which seems to include everyone he ever worked with. In part this is because the book is a defense of his actions in a number of run ins he had with NASA. But ultimately it all detracts from what is otherwise a readable book. 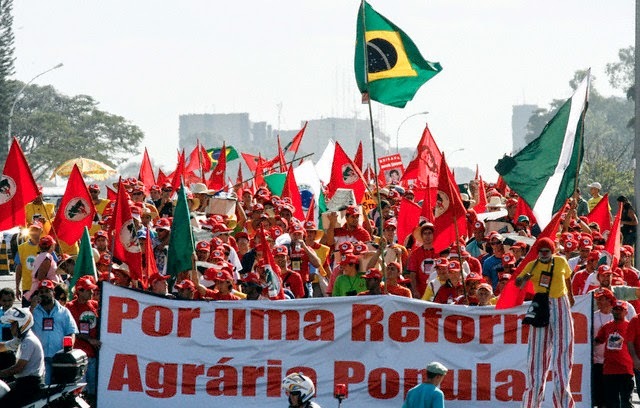 Over the last decade the Zapatista movement in Mexico and, to a lesser extent, the Movimento dos Trabalhadores Rurais Sem Terra (MST) in Brazil have been inspirational examples of rural and peasant movements. The MST's occupations of land, or the Zapatisa's defence of indigenous peoples land and both groups' attempts to develop new economic and social paradigms have inspired and provoked debate for many on the anti-capitalist left. Thus Leandro Vergara-Camus' new book, which comparatively analyses the two movements, is very important. From my point of view I found it particularly interesting at a time when the question of peasant struggles and rural movements has receded somewhat from discussion among Marxist activists. 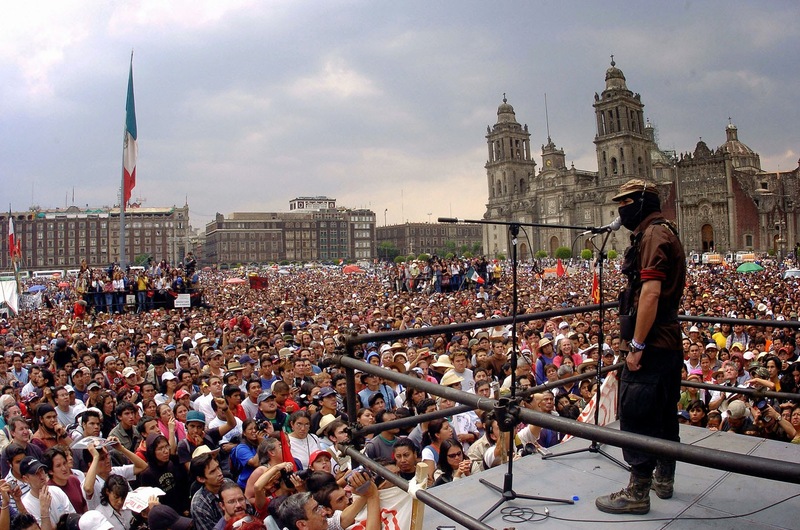 Both the MST and the Zapatistas are important because they are both contemporary movements and their struggles and strategies may offer insights into wider peasant movements in more revolutionary times. 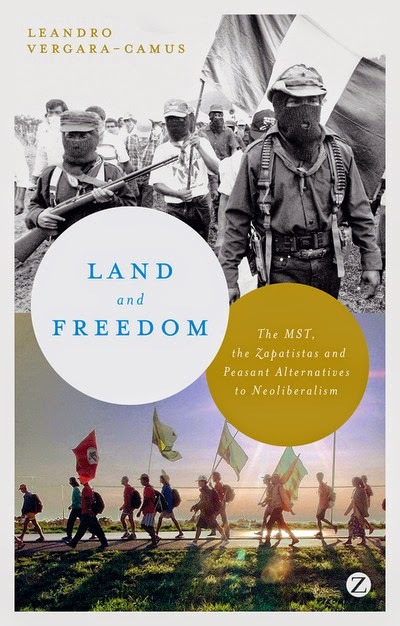 Much of the authors' work is based on years of research which included extended periods living with, and interviewing both MST and Zapatista activists. The MST is a movement of landless workers that attempts through a process of occupations to win land for those who don't have it. It begins with a preparatory period prior to land occupation, followed by a hopefully successful occupation, then by entrenchment of a new community. The Zapatistas, while aiming to control rural space as well, have tended to protect established communities, expelling Mexican state forces and, where necessary, being prepared to mobilise peasants and their own military forces to protect this control. "The land struggles of the MST and the EZLN are not struggles demanding that elites live up to their mortal obligations towards their subordinates. On the contrary, both movements seek to fundamentally transform or even transcend that relationship by empowering their membership through the creation of 'autonomous rural communities'.... These... allow their members to secure and protect their access to land and hence resist the full commodification of land and monetarization of relations of production." "'retreat movement' towards subsistence agriculture and activities. More and more peasants, particularly in indigenous regions of the jungle, the highlands and the north, are retreating as much as possible, from commercial relations - dedicating only a minimal portion of their activity to this purpose." "the majority of Zapatistas are subsistence peasants and fewer can be found within the ranks of market-dependent indigenous peasants." While there are similarities between the two movements, Vergara-Camus notes important differences. "Even though both are facing the historical process of so-called primitive accumulation, they are confronted by different phases of this process. The militants of the MST are responding to the development of fully capitalist social relations in the countryside, while the Zapatista communities are fighting the mere establishment of the conditions for the development of fully capitalist relations." 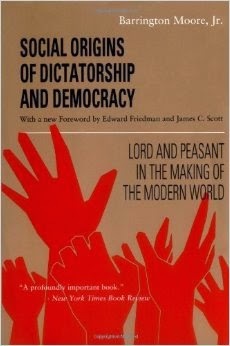 Elsewhere in my reviews I have mentioned my admiration for the analysis of Henry Bernstein, who argues that "most peasants in the Third World, like their family farmer counterparts in the West, 'are unable to reproduce themselves outside the relations and processes of capitalist commodity production'." [Vergara-Camus quoting Bernstein]. Vergara-Camus explicitly moves away from this position, arguing that the "subsistence focus" of both the Zapitistas and the MST is a consequence of both "socio-economic" positions and (particularly in the case of the Zapitistas) because the indigenous approach to production emphasises the question of subsistence farming. Writing about the MST, Vergara-Camus suggests that once settlement has occurred, "subsistence remains a focus because market conditions do not allow them to compete with more productive farmers. More importantly, MST settlers are not subject to the full imperative of competition because their land is, most of the time, not commodified." While it is undoubtedly true that both MST settlers and Zapitista communities are physically and economically isolated from wider capitalist relations, I don't think that this necessarily means they are completely cut off from capitalism. This is not simply about whether or not they buy goods such as pesticides or clothing from external companies, though this is important, it is about whether or not the communities are entirely able to break with the realities of capitalism itself. One example of this is the question of gender roles within both the MST and the Zapatistas. The collective action of the peasants has helped to break down the subordinate role of women. This is precisely because the involvement of women directly in the struggle has challenged traditional roles and "temporarily blurred the boundaries between private and public spaces". However it is notable that neither movement seems to have attempted to fundamentally challenge these gender roles through, for instance, collective arrangements for food production and child care. "The participation of women was fought for. It was conquered. It had to confront many stereotypes. Today, it has changed a lot. There are many women who have achieved the division of domestic chores." "what seems to be the rule is that during moments of increased mobilisation and tension, women assume the role of protagonists and thus break with their traditional gender role; but they then often retreat to a modified version of that traditional gender role." One of the truisms of the revolutionary left, is that people change in struggle, and that is clearly the case here. But when the struggle diminishes, or fundamental change fails to occur than things can revert back to how they were. Precisely because neither the MST or the Zapatista movement can break from capitalist relations they risk things reverting back. A second and more fundamental question is that neither of the MST or the Zapatista strategies challenges the power of the state. While it has been fashionable for some leftist scholars to suggest that it is possible for radical movements to not challenge state power, for peasants in Brazil and Mexico, the existence of a hostile state which remains supportive of large landowners can mean death squads, military intervention or simply barriers to selling produce in the wider market. create anti-capitalist islands within a wider capitalist sea. While the creation of communes or co-operatives is often doomed to failure in the face of the logic of the market, because peasant communities can reproduce themselves through subsistence farming it is possible for them to exist in economic relations outside of the capitalist mainstream. But the long term limitations lie precisely because capitalism itself, with its inherent need to expand, will eventually come into conflict with these spaces. This makes the wider links between the MST and the Zapatista movements with their respective nation states even more important. The MST has famously developed over years close links with Brazil's ruling party the Workers' Party (PT). The PT was elected with a mandate to bring change, but has ended up introducing neo-liberal politics and certainly hasn't provided the rural reforms that many in the MST would have hoped for. Indeed, some of their changes have strengthened the larger agricultural corporations and landowners that the MST is in conflict with. In Mexico the Zapatista has bravely stood its ground against extremely aggressive state action. Vergara Camus analyses in some detail the attempts, particularly by the MST to build wider coalitions. These haven't been successful, and it remains to be seen how the MST and the Zapatistas will move forward. But the key question must be the way that both groups have inspired and encouraged wider social movements. Vergara-Camus points out how, in 1994, in the aftermath of the Zapatista uprising communities throughout Chiapas took the opportunity to occupy private land. The MST too, has through its occupations and its colleges and other institutions given land to those who most needed it, and helped encourage the new settlers to make best use of it. Tens of thousands of people have had their lives transformed as a result. In an era when neo-liberal policies have run rough-shod over wider rural relations this is in itself both inspiring and hopeful. Vergara-Camus notes that the "principal political advantage" of the MST and Zapatistas is "their capacity to organise and mobilise entire communities around autonomous structures of popular power" and "their maintenance of a subsistence fall back strategy that provides an opportunity to partially delink from the market". While often using the language of revolution, neither organisation is revolutionary in the sense that they wish to bring fundamental social change through the destruction of the capitalist order. Vergara-Camus notes that "by developing popular structures of power" the MST and the Zapatistas do alter the relationship between rulers and ruled. But he also realizes that "power relations do not dissolve through this process" - as we have seen with the examples of changing gender roles in both the MST and Zapatistas. Vergara-Camus suggests that the only other option is a "political strategy", but he equates this with engaging in the existing capitalist political structures on the terms of those who already have power. I fear that this is inadequate and will expose the weakest flank of these movements to co-option or destruction. The alternative is a strategy of developing and furthering links with wider social forces, particularly the working class of the Mexican and Brazilian cities that have enormous social power. Here lies the potential to destroy capitalism and allow the rural areas to develop unhindered by the wider capitalist sea. This has been a somewhat critical review of what is an important book. At times it is not an easy read. The chapters discussing the politics and economics of the peasantry seemed needlessly academic and the authors' use of Gramscian metaphors seemed shoe-horned in. I was also disappointed that more of the author's material from interviews with the activists of the MST and Zapatistas was not included. Nonetheless, despite my disagreements with key issues in Land and Freedom the debates within are ones crucial to both the future of the peasantry and those who seek to fundamentally change society. This book deserves be widely read and to be the focus of extensive debate.